As an ideal video editing tool, Final Cut Pro is widely used by video professionals and hobbyists. Sometimes, you may want to import Blu-ray to Final Cut Pro X/7/6 to edit the footage. However, Blu-ray video does not natively work within FCP. To fix this issue, Blu-ray video fiels must be ripped off the disc and then converted. This process works to rip Blu-ray video for use in Final Cut Pro. To finish the task, a Blu-ray ripping application is needed. Here EaseFab Blu-ray Ripper for Mac(Yosemite and Mavericks compatible) will be a great help. With it, you can fast rip and convert Blu-ray movies to ProRes encoded MOV, which ensures maximum editing quality and efficiency when working with FCP. Besides, the program has optimized presets for iPad Air, iPad Mini, iPhone 6, iPhone 6 Plus, Apple TV. You can also convert Blu-ray/DVD to QuickTime, MKV, AVI, MP4, MOV, M4V, WMV, TS, F4V, etc. with desired codec, duration, aspect ratio, and file size. 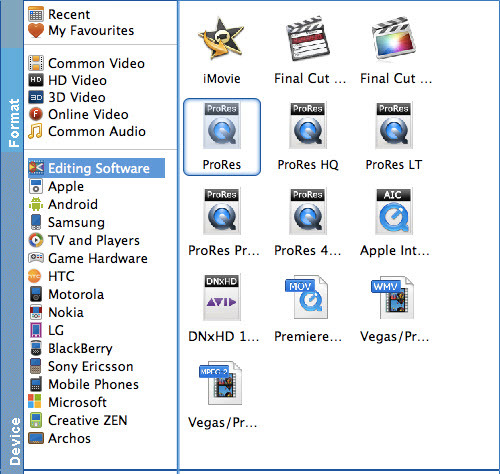 Now download this program and follow the guide below to rip Blu-ray to ProRes for FCP. By the way, you can also use the Mac Blu-ray Ripper to transcode your Blu-ray/DVD files into a format that works natively within your non-linear video editing application like iMovie, Premiere, Avid, iDVD, etc. If you also have the demand for converting MKV, AVI, VOB, MXF, XAVC, XAVC S, MTS/M2TS, AVCHD, etc. 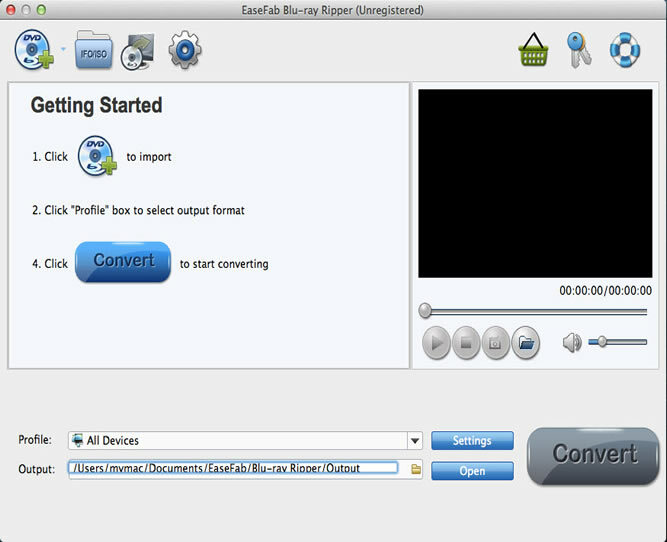 to edit on Mac, please turn to EaseFab Video Converter Ultimate for Mac. Install and run the Blu-ray Ripper for Mac, insert your Blu-ray disc into the BD Drive that connected to your Mac computer. Then click the "Load Disc" button to have movies uploaded to the program. Here you can also import DVD folders, ISO files and IFO files to convert. At the bottom, you can select your desired subtitle and audio track. Click on the "Editing Software" and you will see options to convert your Blu-ray video for certain video editing software. Since you will be importing the Blu-ray video to Final Cut Pro after the conversion, have ProRes or Final Cut Pro be your selected output format. Just click on the Convert button that can be found on the menu. Wait for a while and the mac Blu-ray to FCP Converter will do the trick. You will soon have your Blu-ray video into a format that's recognizable and editable by Final Cut Pro - the ProRes encoded .mov format. When then conversion completes, click Open Folder to get the ripped video files and launch FCP to add the videos for editing.